"Isabelle Thornton" Le Chateau des Fleurs: French obsession Party #1. Frenchy accessory line Launch and give away. French obsession Party #1. Frenchy accessory line Launch and give away. Welcome to the First French Obsession Party!! I am Launching my Accessory line today!! I hand made the Brooches, they are unique...No one sells them and they are copyrighted. In France everything always has to serve more than one purpose. The give away is this Frenchy hat and brooches. One size fits all for the hat, a $65 value...Never used, brand new and limited edition, the brooches are signed and numbered. I will post the winner next Thursday, the 8 of April. Link your post not your blog. super cool! i'm seeing more and more of those zipper flowers, and i love them! LOVE it and I am a follower. Yay Frenchy..you are so Fabulous! What beautful creations..always inspiring and gorgeous! I am excited for your launch and wish you many great blessings! You are a super talented spirit..and very generous! yay! Yes I am a follower and love your blog. I'm looking forward to your French party and your little flower accessories are gorgeous! How clever and fun are you?!! LOVE it!! I'm a true blue follower! Wow!! You are so clever!! You look gorgeous in the hat!! I love the brooches, they are so cute! I am a follower! go frenchy! i love those flowers!!!! so beautiful and fun! i already follow you :) i'm excited to see what you come up with next! yay! How chic!! Love the hat and the brooches. You look fab! Throw my name in the 'hat'!! Ooh, I'm lovin your hat and those sweet little flowers that you make. And, I am also a follower. Oh my, those adorable brooches make everything so so stylish! 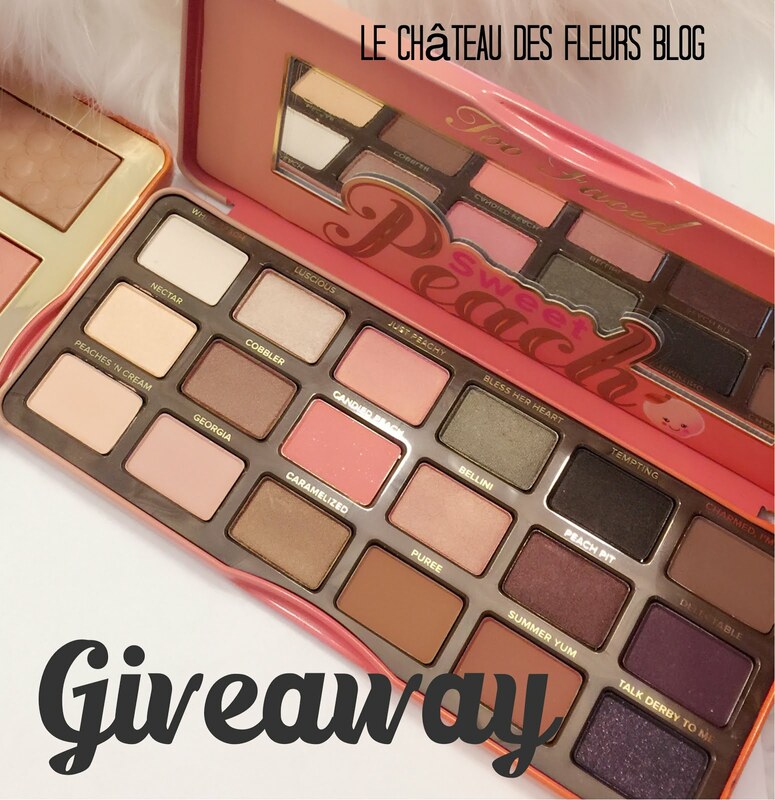 Do enjoy your lovely lovely Giveaway, Frenchy! This is going to be real fun with such awesome gifts. So cute. I love how you can use it in many ways. Of course I am a followers. 'Shari Bradley' if you would like to friend me! Hello Frenchy! this is my comment #1 and I will link up a French post....thank you so much and your brooches are too cute and so multipurpose. I just signed up to be a follower!!!!!! Hello Frenchy, my 2nd comment and I am a follower! ooh lala....c'est idee est magnifique frency! oui...oui...enter me! vos roses sont belle! aussi...i am a follower! merci! merci! I love that there are three of them and that they are soo versatile. COngratulations on the launch of your new boutique. The flowers are wonderful. I have an identical pair of black Mary-Janes, I wore them today - the flower looks great on the side. I'm also a follower. I linked a post as well - at least I hope I did it correctly. Hi: Just discovered your blog today...This is great! These blog parties are a wonderful idea, but this is truly unique. I will spread the word! How fabulously beautiful! So very very pretty! I would LOVE to be entered in your giveaway... I am really keeping my fingers crossed for this one! I am definately a follower! Umm, SO adorable! I love this! And I follow you on Google Reader! YEAH! I had to come back and tell you how much I appreciate the Kreative Blogger Award! You are so sweet. I'm sorry I'm so late thanking you. I plan to mention it on my blog soon. I just love coming to visit you. Your blog is so inspirational and full of love. Again, thank you and you really are the one who deserves awards. Ooh, pick me :) I love it! and gosh you're so pretty ! im jealous! Love the broches, so versatile and trendy! I love the broches...I would so use them on EVERYTHING. Hee, hee and I AM A FOLLOWER!! So cute--whoops, I mean "tres chic!" and mais oui, I have you on Google Reader. Now I have to look for something French for your party! What a beautiful give away! You are the sweetest! Thank you for offering it to your international followers too. I forgot to tell you that I am a follower and I will add your blog to my blog roll and put a picture of this lovely give away on my side bar. I hope that you and your gorgeous family have a very Happy Easter! I've been "stalking" your blog for a while. Following now. I love those flowers and hat! I will put your button on my blog. Great idea. I'll post a link to your blog as well (sometime this week). What a original giveaway! I love hats. Nice work on the buttons. So count me in, also as a new follower. And if you want to follow me too that would be great. Nice give away.....i will follow you.and i really like you follow me toooooo!! Hey, thanks for following me back. And also thanks for stopping by with a comment on my blog. It is so nice to meet you. I also think I might link up later today to you party, I'll have to see how my day goes. But it is an awesome idea at any rate! Dang, 61 comments already... What are the odds she'll pick 62? LOL, bummer for me, but so awesome for you! I love that had and I love the brooches. They are beyond awesome. And now I'm linking to you! LOVE the brooches! So creative.. You are so talented, Frenchy! Just signed up to follow you! How fun, love the hat! Thanks for the great contest! Wonderful I love everything French and I would love to join your party. Your flowers are beautiful. would love to have you as a follower too. Woo Hoo!!! I love these and to possibly win them would be fabulous! I like them because they are both FUN and ELEGANT, too!!!! I am also a follower, and I added your giveaway to my sidebar. The Frenchy hat is c'est magnifique! I am now a follower on Google Friend Connect. I love your blog and am entering your contest! I'm a follower too! Entering your contest again! I love the coconut cupcakes and am going to do something similar for Easter. I love those brooches and plan to go figure out how to follow as I just found you! French is the way to go! Now I am officially a follower! yeah! Very clever and versatile! Love it on the hat. Good luck in your new venture! Love the flowers and the hat. I'm sure my daughter (she's 19) will steal this if I win. Totally awesome! I am definitely going to follow you and love the idea of French Obsession parties. thanks for inviting me to your party!! I've added the link already. And the giveaway..oh dear! That hat is FAB ,I want it!Please count me in! I love all things French so I'm now a follower! P.S You've got serious talent! Ooooops....forgot to add that I became a follower...I love anything and all things French. Thanks to join my giveaway! I'm happy to join yours! Amazing!!! This is like perfect timing I just watched that one swiss movie Le Chocaletier in my french class. Ooo love it! Already a follower, I had meant to sign up for your giveaway when I first found your blog actually...I just forgot about it. Lovely blog and lovely giveaway! Of course I'm a follower, anything french and I'm there! Great giveaway!! I'd love to be entered!! Thank you! and.. I'm a new follower of your blog too! Thank you for visiting my blog and becoming a follower on my blog today too! Lol...I just saw your comment :) I am the same way love reading other blogs and supporting as well do you have a button I can put on my blog? Looking forward to more on your blog:) Happy blogging! Just saw your accessories on Michelle's blog and the great things she has to say about you, and now I am going to be a follower. Such cute ideas! Thanks for linking up to this week's Super Crafty Saturday! i thought i'd already entered this, but thankfully checked your comment list and hadn't yet. phew, just in time. congrats on your launch! i'm doing my first give-away next week to celebrate my etsy launch. yay! Love the cupcakes + cookie. AGave...do you use it in same qty as sugar when baking? We have been using it on toast for lower glycemic index and we actually prefer it to honey now! I don't think I ever left a comment...or can't find it as I scroll down! i am a follower..enjoy your blog very much! i'd love to have my name entered..is it too late? Sorry the give away is closed. Come the next 1st of the month for more French links and French Give away! Beautiful!!!! Your work is lovely!